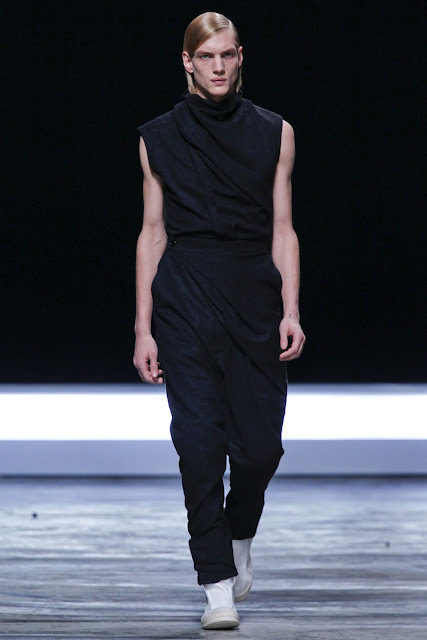 The main draw of this collection for me was the trousers. 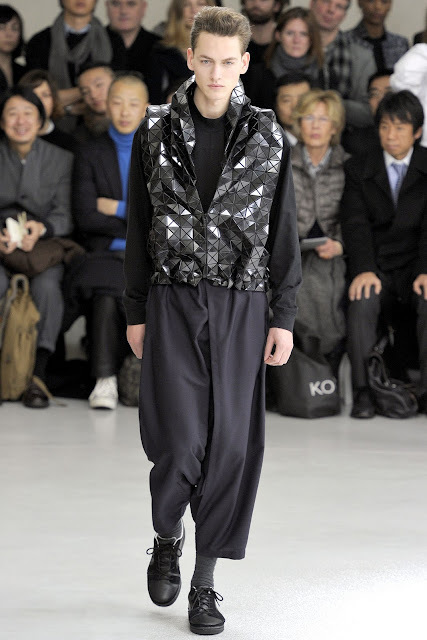 The traditional Issey pleats were out in force, and the look in movement was wonderful. I like the effect of their pleated garments for they appear so thoroughly architectural and precise...until the body moves. But rather than disrupting the line, each movement simply allows the pleats to expand in places and thus add a sculptural element to the design. These are clothes to be worn, not simply to be displayed on a hanger. I also rather liked the geometric jackets, again providing a sculptural element, whilst simultaneously deconstructing the rigid perfection of that geometry to provide what is arguably an even more alluring image. I do wish Issey would come back to actually designing his line, but hopefully his research is proving far more interesting. A knitwear bonanza. I liked the colours, the textures, the details. I am not particularly a fan of the louder Missoni prints, and the less said about their recent collaboration the better, but the menswear has been outstanding for the past three seasons. A collection that makes you smile - what could be better? This collection was at once both a curveball and a natural progression. Rick has pretty much perfected his casual sportswear, with the washed leathers, slouchy tops, cropped and drop crotch trousers, and extended tongue sneakers. The silhouette has consistently been long on top and short below, albeit with the centre of gravity migrating ever further South as time went on. This reached its inevitable conclusion with the free-flowing robes and pillar skirts of Naska, so where does he head next? He inverted his traditional silhouette, choosing high waisted trousers and a short top. Not only was there this reversal in silhouette, Rick also returned to tailoring. 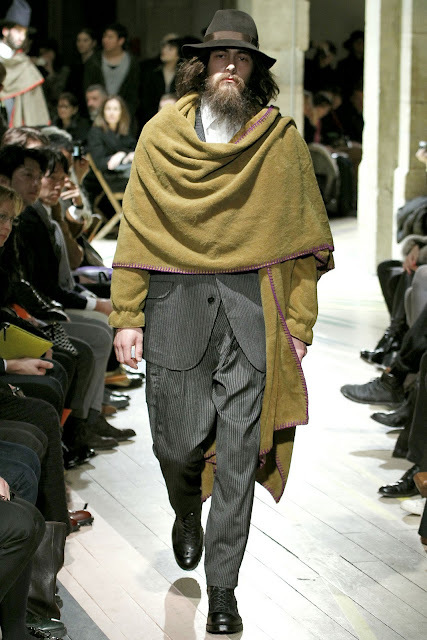 His casual look is so well-defined that it seemed natural for him to want to define his eveningwear. 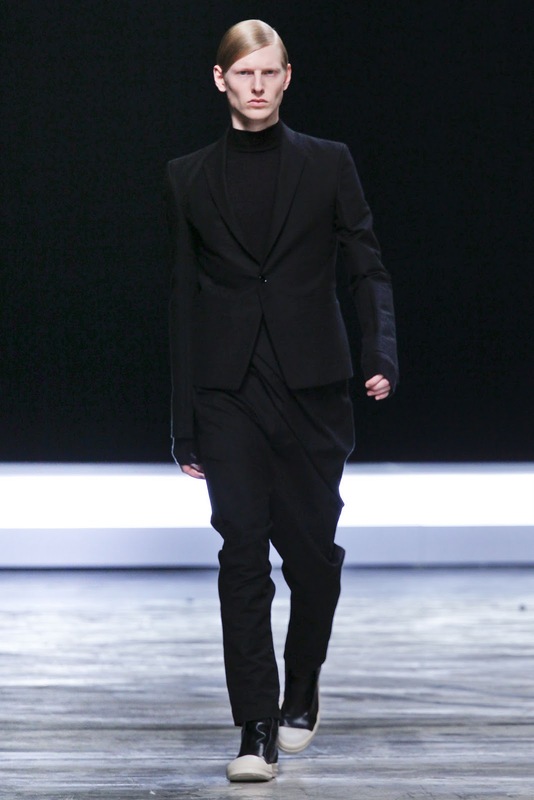 He has slowly been returning to tailoring in the last few collections, and here with the short blazer and high waisted trousers, I think he has presented something unexpected, something sleek, but something still incredibly Rick. 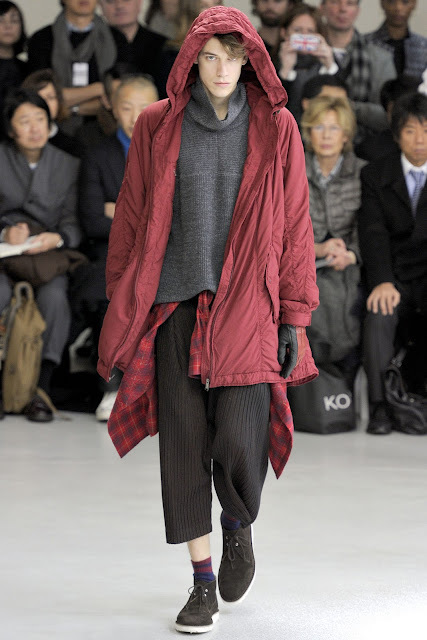 This was one of my favourite Yohji collections in a while, although the current season comes close. Here he presented his various archetypal men, from the military man to the traveller, all in his thoroughly beautiful way. I was most taken by his wandering romantic, for like he himself said, 'I don’t think we should try to make space our own. I believe that as modern people we should live in mobility. We should always be moving'. The modern self is a lonely self, even within the city we are an island, with our interactions being fleeting. We experience the clothing of others in flashes, in movement, lost in the crowd. So why not dress for that reality in the best possible way? Comfortable, elegant and romantic. I can not wait to see this collection on the rails. In hospital for a little while. I like Issey's flowing pant. 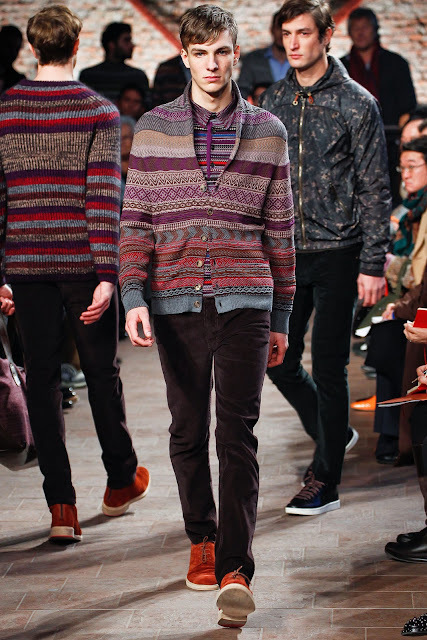 And I looked closely to Missoni's fair isle cardigan and inside knit shirt.Stunning beautiful. 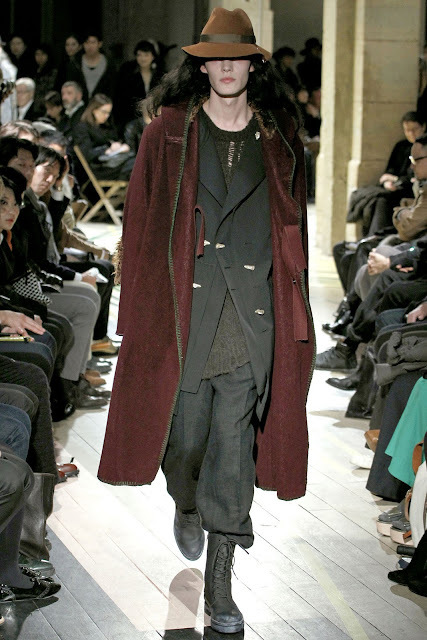 Of course you post Yohji Yamamoto's collection. Yes,elegant and romantic.I am getting into fashion slowly.Thank you for sharing. 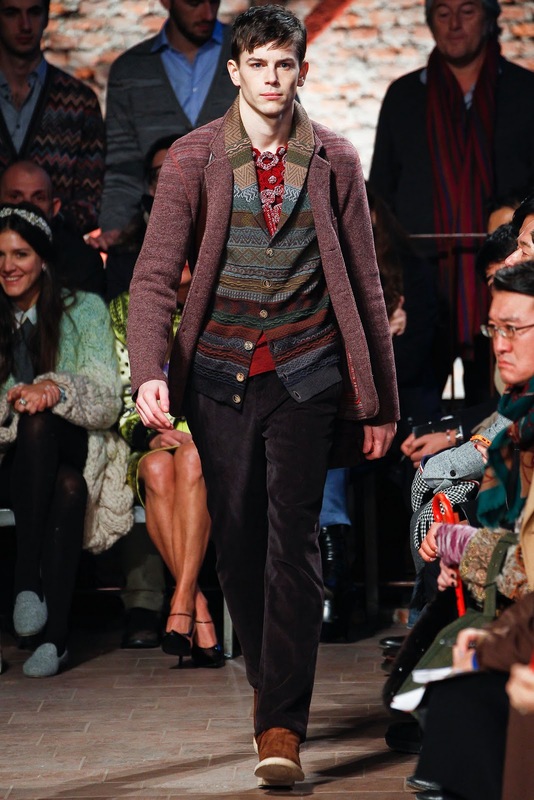 Ah loving the tweed but that first coat looks so lovely and cosy. Looks almost like a sleeping bag WHICH I LOVE!